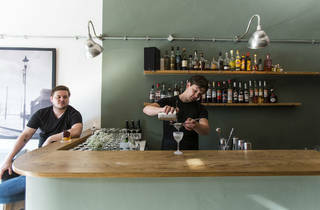 Dalston cocktail joint from Drink Factory alumni. Please note, since this review Between the Sheets has undergone a refurb and is now called Three Sheets. Time Out Food & Drink editors, October 2016. Blink and you’ll miss it. 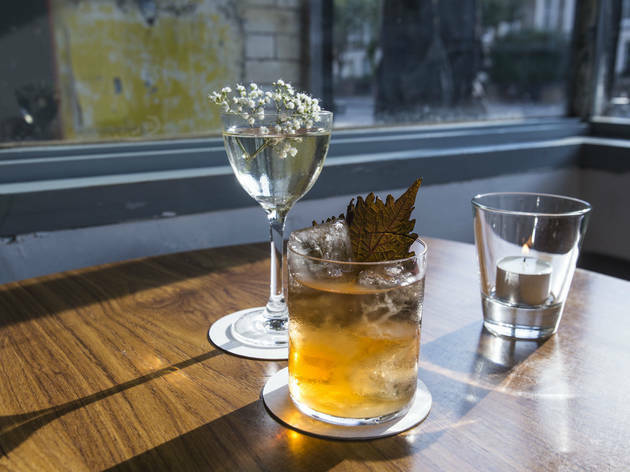 Between the Sheets, a narrow and nondescript cocktail spot on Kingsland Road, is nowhere near as raunchy as its name suggests. It is dark and seductive, though; the kind of place where your eyes adjust to flickering candlelight. Decor is stripped back: less is more (again, the name doesn’t fit). In contrast to all the dark and dim is the brightest bar service, with two lads working the small room with Northern pleasantries and modest patter about the menu. They should big up their drinks with more confidence. 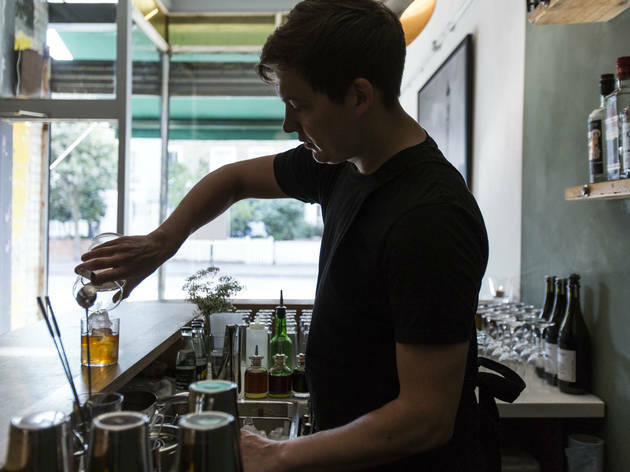 One of the team, Max Venning, used to work as operations manager at Tony Conigliaro’s Drink Factory, where cocktails are developed for some of London’s best bars (Zetter Townhouse, Bar Termini, 69 Colebrooke Row). 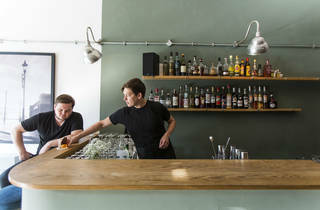 A seasonal menu is succinct, with seven cocktails and a slight Gallic slant that includes pastis and Breton cider creations. We tried a classic French 75, carbonated in house and pre-batched to pour at your table straight from a champagne bottle. 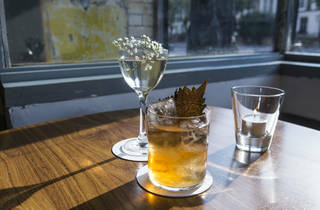 It was a cute take on a classic, as was a foraged martini, a sweet version given extra lift from ‘leaf cordial’. I enviously ogled our neighbour’s shiso miso, an oriental old fashioned using all kinds of sciency prep to produce. It’s like the boys behind this venture realised the name was too much too late. 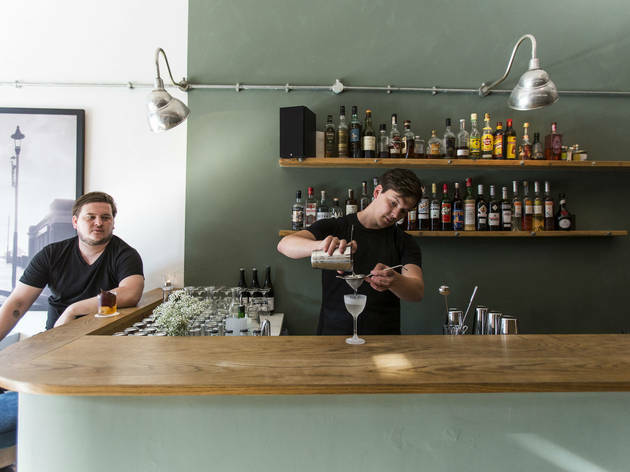 Within weeks of launching, they have plans to refurb and reopen under the name ‘Three Sheets’, adding daytime coffees and nighttime snacks. We can’t wait to see what’s under the covers at this already promising watering hole. I really enjoyed this cocktail bar and coffee shop. 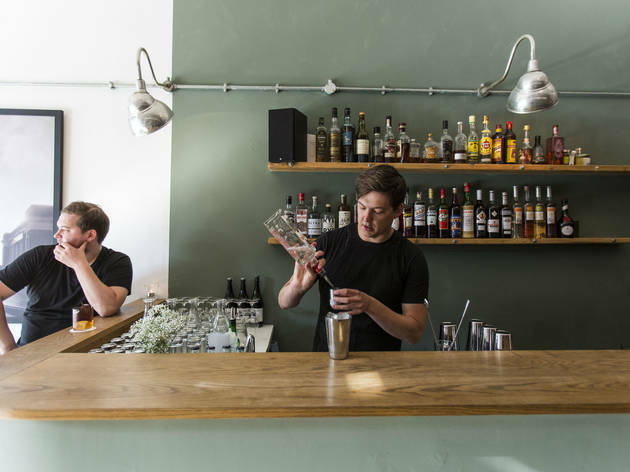 It’s clear that the team here focus on the drinks themselves and keep things nice and simple with good banter and an easy smile. 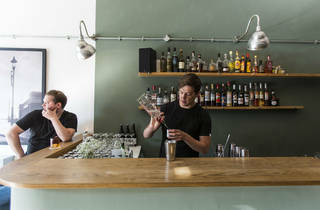 The cocktails here are fresh, flavoursome and no fuss; and the interior reflects the same modest attitude with simple lighting and exposed brickwork. It’s modest and a quiet achiever and feels like having a few cocktails at a mate’s house or an extension of your living room. Don’t expect fancy garnishes and flames (sorry, Instagram); however, do expect delicious cocktails. Coffee in the morning, cocktails in the evening. Perfect. My only regret is that I don’t still live nearby. Tip: my favourite spot is in the window. Glad to see that Three Sheets is starting to liven up - after opening it was a bit too quiet to tempt us in. 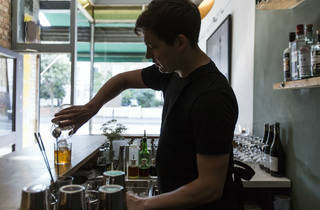 With the likes of high water now overrun with too-tipsy twenty somethings going 'out out', Three Sheets is a good option for a decent cocktail and a good chat. Having said that, I do still struggle with pre-mixed drinks - our French 75 was poured from a wine bottle at the table without even a garnish. But it was delicious. Easily the best bar on the stretch for discerning drinkers.Style does not detract from substance. Amazing and keep the name - it's great!